When slow leaks occur, they are often difficult to detect, especially if they are located in the roof. It's not often we are up in our attics. By the time this leak was noticed, mold had formed in the insulation and spread into the ceiling below. The mold was inspected and assessed, and the certified professionals at SERVPRO of North Austin/SW Williamson County were called in to remediate. Mold can grow anywhere - especially in Texas. A leaky window pane was found to be the culprit causing the mold damage to the wood paneling. A mold inspector assessed the damage and the certified professionals at SERVPRO of North Austin and SW Williamson County were brought in to perform the mold remediation. Water was coming in from all directions during a terrible rainstorm in North Austin. Windows were broken and water poured in. The certified professionals at SERVPRO of North Austin and SW Williamson County arrived right away to remove the water, the glass, the debris, to dry out the area, and to treat for mold prevention. A bad Austin storm flooded the lake and caused water damage to a North Austin area vacation home. Unfortunately, it went unnoticed for a few days. The professionals of North Austin and SW Williamson County were called and arrived right away to remove the water, dry out the home, and treat for mold prevention. A ranch house in Austin encountered water damage due to a leaky roof that cause water to come through the ceiling and into a dining room. 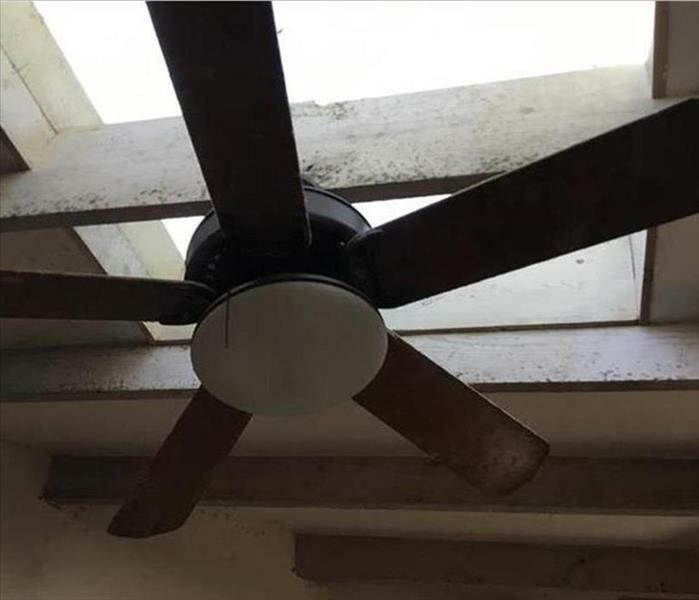 Both the roof, ceiling, and wood flooring was affected. The professionals at SERVPRO of North Austin and SW Williamson CO were called and arrived to assess the damage. Commercial grade water extractors were brought in right away to powerfully extract the water from the natural hardwood floors. If your home encounters water damage, time is a factor. The sooner the water is removed, the better off the property will be. 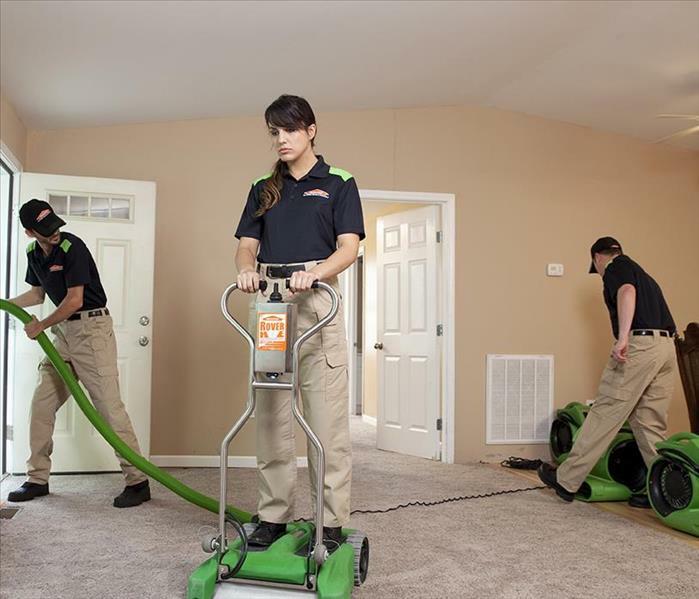 SERVPRO of North Austin and SW Williamson CO brings in commercial grade water extractors as well as industrial grade dehumidifiers when hardwood floors are involved. Don't hesitate to call the certified professionals at SERVPRO of North Austin and SW Williamson CO.
Changing the batteries in your smoke detectors and testing them to make sure they are functioning properly is one of the best ways to prevent disaster from occurring. 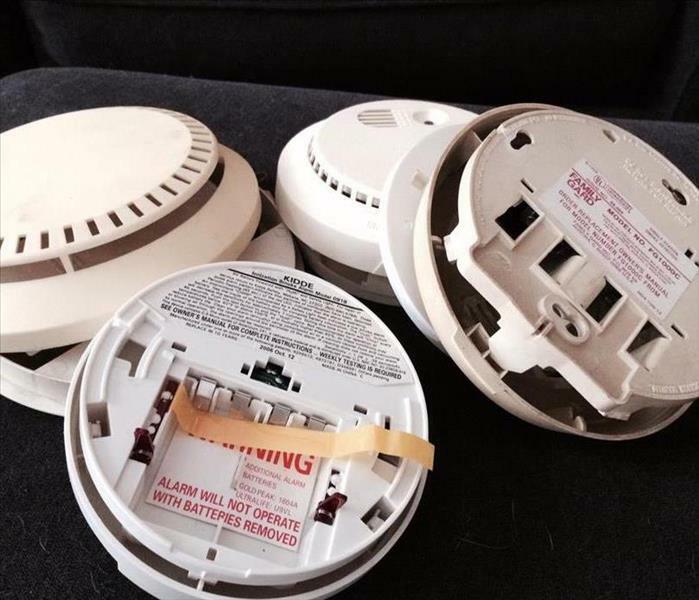 A well-known rule of thumb is to change the batteries in your smoke detectors every time you change the clocks. Up to date and strategically placed fire extinguishers are also very important in preventing disaster. After a fire in a home it's very possible that contaminating smoke has touched every item and area in your home. 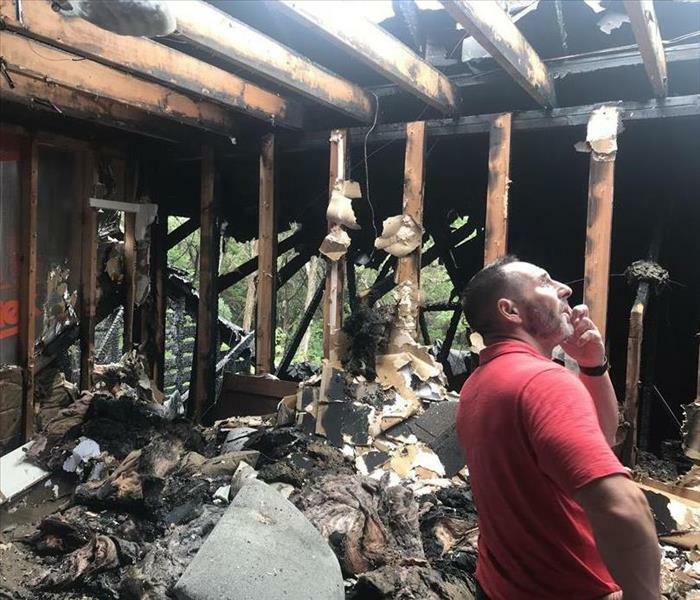 In smoke, there are residual amounts of chemicals and other bi-products due to burning plastics and other chemical-based items in your home that may have burned in the fire. 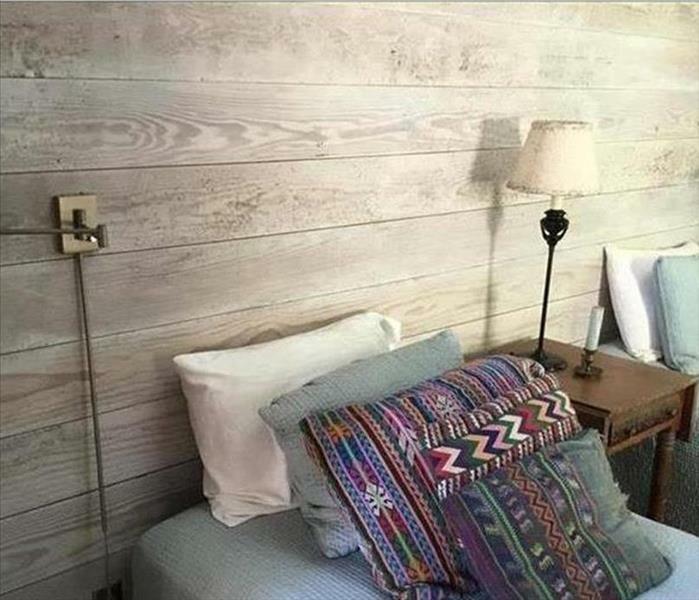 Those residual chemicals have been transferred by the smoke and is now left on your walls, furniture, floors, personal items, and other contents in your home. Even things like your light bulbs in your lamps must be decontaminated or disposed of properly. Unfortunately, this commercial office building in Austin suffered a water damage event. Water was extracted from the carpets and the hardwood flooring using industrial grade water extractors. 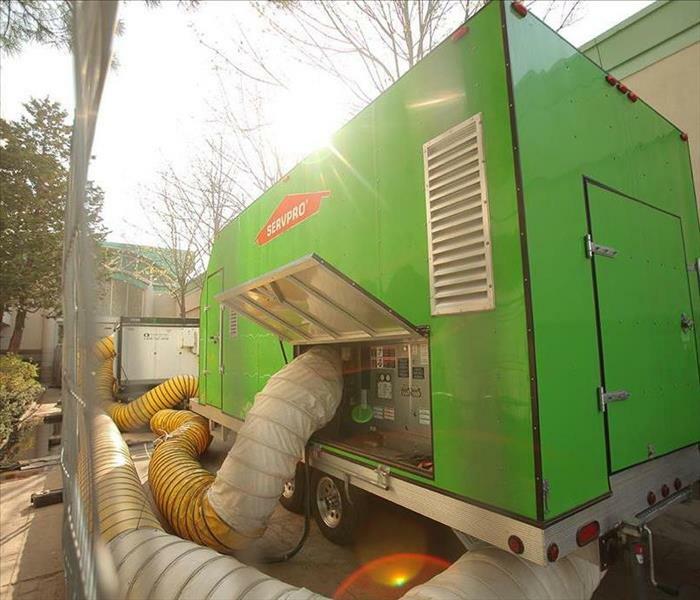 Once the water is extracted from the flooring, commercial size dehumidifiers are installed to extract the excess water from the air as well, which is an important step to prevent mold from forming. In this commercial building in Austin, it was very important to install large, commercial grade dehumidifiers to remove the moisture from the air. Simply cleaning up the water is not enough if you want to prevent mold from forming. If not enough moisture is removed from the air, secondary damage can occur from the water damage event and mold can grow. Thankfully, this business had a SERVPRO plan in place when they suffered water damage. Because they had discussed the SERVPRO Ready Plan with our Marketing Rep, we were able to complete the water damage restoration process even faster. Call today to discuss your own SERVPRO Ready Plan. Here at SERVPRO of North Austin and SW Williamson CO, we are dedicated to making your storm calm. We have professionals who enter your home and you are immediately filled with a sense of security that your home or business is in good hands. While this may be the first flood or fire you encounter, it definitely know what needs to be done and what time frame it needs to be completed. Please call us at (512) 335-7247. A partial fire took the situation from bad to worse in a home in Austin. SERVPRO of North Austin and SW Williamson CO was called in to remove affected items/areas and restore. Whenever the time changes, whether we "fall back" or we "spring forward" for daylight savings time, don't forget to change the batteries on your smoke and/or carbon monoxide detectors. It saves lives. An electrical fire in the ceiling of a home in Austin caused a lot of damage to the wiring, insulation, supports, and dry wall of the home. SERVPRO of North Austin and SW Williamson CO were called to restore the ceiling and surrounding areas. An upstairs hallway suffered a ceiling cave in during a roof collapse in a home in Lakeway. 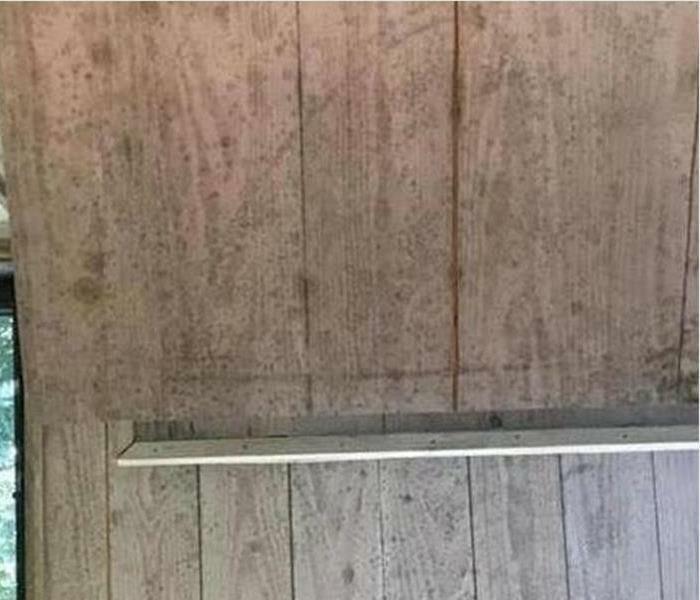 Should your home encounter storm damage, please give us a call at SERVPRO of North Austin and SW Williamson CO.
A Storm caused rain water to seep into the walls and down into the floor. An instance like this must be dried out soon or you could risk secondary damage - mold. Rain can enter your home even through the front door during a bad storm. SERVPRO of North Austin and SW Williamson CO was called to dry out this family room. Don't hesitate - call SERVPRO of North Austin and SW Williamson CO today. A storm in Williamson CO caused a leaky roof and in turn, caused water damage to the upper level. Don't hesitate - call SERVPRO of North Austin and SW Williamson CO today. In an Austin home, a master bathroom leak lead to a kitchen ceiling cave in. SERVPRO of North Austin and Williamson CO dried out the areas upstairs and downstairs. 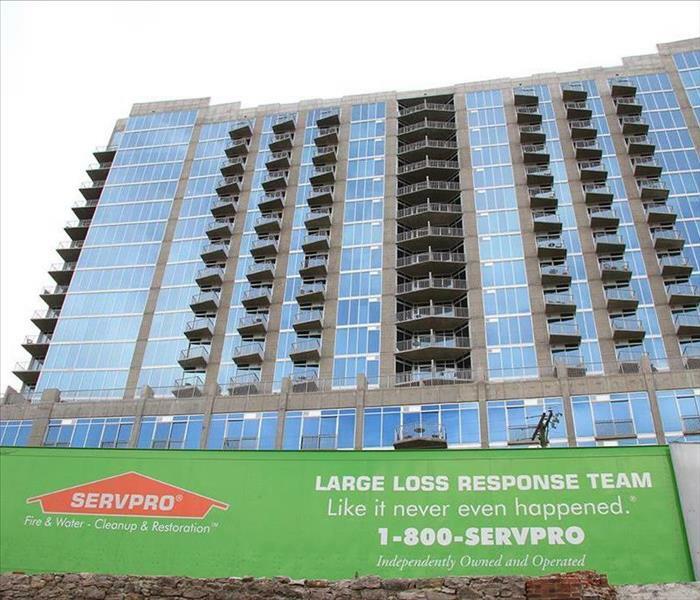 Don't hesitate - call SERVPRO of North Austin and Williamson CO today. In a home in Austin, water damage caused the family room ceiling to cave in leaving damage everywhere. Don't hesitate - call us at SERVPRO of North Austin and SW Williamson CO today. Be sure to check your water lines in your kitchen as they can cause water damage to your kitchen cabinets and floors. A dishwasher leak caused water damage to this kitchen floor and surrounding area. When water damage occurs on wood floors, it's important to act quickly. To prevent the wood floors from buckling, commercial grade water extractors were brought in to pull the water out of the wood. Water leaks from roofs, leaky toilets from above, or any other water source can cause mold damage quicker than you think. If not contained, mold can spread to other areas of the home. A slow leak is often the culprit for mold damage. A skylight leak caused mold damage to a ceiling in an Austin home in a bedroom. SERVPRO of North Austin and SW Williamson CO was called to remediate. Mold can grow quickly in dark, moist places like attics. When roof leaks go unnoticed, mold can form and spread throughout the attic, it's walls, and even the ceiling below. Mold knows no borders. This mold was spreading across the hardwood walls of a bedroom. Once a protocol was put in place, SERVPRO of North Austin and SW Williamson CO was called to remove the mold. A leaky roof caused water damage to a commercial building in Austin. Luckily, the owners had a Ready Plan in place with us at SERVPRO. Don't hesitate - call SERVPRO of North Austin and SW Williamson Co today. 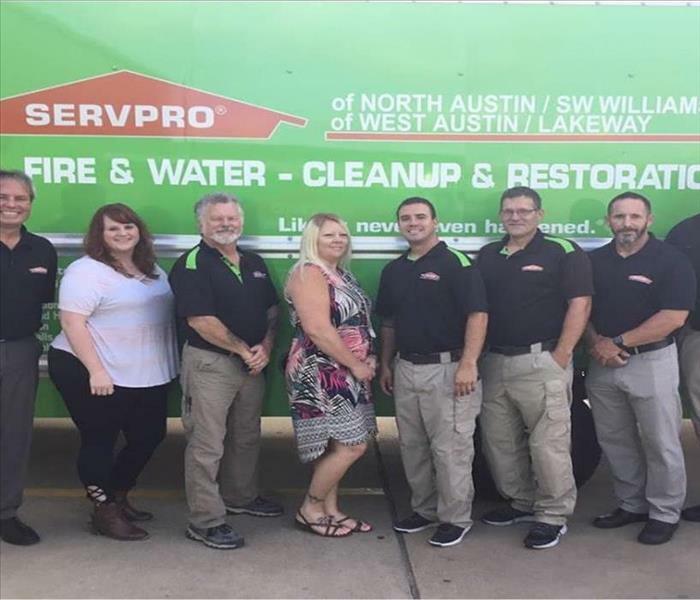 Bio-Hazard clean-up is one of the many services we offer at SERVPRO of North Austin and SW Williamson Co. Don't hesitate - call SERVPRO of North Austin and SW Williamson Co today. At SERVPRO of North Austin and SW Williamson Co, we get calls all the time for hoarding instances in homes. SERVPRO of North Austin and SW Williamson Co will come to the clean up for you and your family. When you call SERVPRO North Austin/SW Williamson CO at 512-335-7247 you will have people who are professionally dressed and ready to work. We strive to provide the absolute best service to every customer we have. At SERVPRO North Austin/SW Williamson CO we have the proper equipment to get the job finished. We clean air ducts, carpets, odors, rugs and much more.